No fashion-savvy male underestimates the appeal of a good pair of Oxfords. For a formal event, no suit or sports jacket is complete without being paired with a good pair of lace-up dress shoes. There is a good reason why this 1920’s design for the upbeat male has retained its appeal for so long. Elegant stitching, smooth lines, and just the right arch to accentuate the heel, turning a basic pair of shoes into an emblem of class and sophistication. Yet many believe that good looking Oxfords cost an arm and a leg. The Alpine Swiss Mens Oxfords deliver exceptional quality and aesthetics matched to shoes costing four times its price. They give you a sturdy, stylish overall design, at a surprisingly affordable rate. They can be highlighted by a broad range of clothing choices. From sleek, tight jeans to tailored suit pants, any style which just breaks the top of the shoe is a perfect match to these lace-up Oxfords. Here we’ll be taking a closer look at the Alpine Swiss Men’s Oxfords Dress Shoes with a leather-lined lace-up design making use of stylish, sturdy baseball stitching. Giving you a range of true-fit sizes, great design elements which are minimalistic yet versatile, and comfort which rivals the most prestigious brands out there, you can’t go wrong with these great Oxfords from Alpine Swiss. From the onset, the Alpine Swiss Men’s Oxfords are striking shoes. They have a visual appeal which is superior to anything in their price range. The faux leather is high gloss and polishes well, holding its luster throughout a busy day. This is a pair of Oxfords which will retain its visual appeal for long into the future. They carry great scuff resistance and are rugged enough to prevent cracking and tarnishing of the exterior glossy surface. The lacing is neat with the lacing area lined with genuine leather. Turned edges ensure uniform, sleek styling through every component of these great dress shoes. The interior of the shoes is also lined with genuine leather, granting a comfortable fit around your ankles and heel. Alpine Swiss has done a great job of not compromising on the exterior aesthetics of these lightweight oxford shoes. Alpine Swiss have supplied outstanding arch support with their high cut heels which never allows for any slippage. The elevation of the heel is set at just the right height, holding to the original visual prominence of this classic design. In addition, the combination of a solid rubber sole and soft heel support give you great traction while at the same time ensuring a comfortable fit through even extended hours of use. If you spend most of the day on your feet, you will appreciate the quality design of these men’s Oxfords. In most sizes, for most customers, more than enough toe-room is provided with the shoes never being too tight, or too loose. The baseball stitching is both elegant, streamlined and non-obtrusive, never interfering with the neat, minimalistic construction, nor impacting the comfort thanks to the leather inner-lining. You will find that the leather lining is well-affixed to the interior and quite comfortable to wear. These Oxfords are known to be slightly narrow, however, given a few days of breaking them in, or a trip to the cobbler for shoe stretching, they’ll fit the form of your feet just fine. Most find them adjusting to the contours of their feet within less than a day. The comfort level is comparable to that of sneakers, although in some cases the breathability could be better. Nevertheless, Alpine Swiss lace-up Oxfords are secure enough to give good traction, with your foot never slipping from the sole of the shoe either. They are tight, but not tight enough to ever cause discomfort, which is exactly what you want when shopping for a good pair of dress shoes. 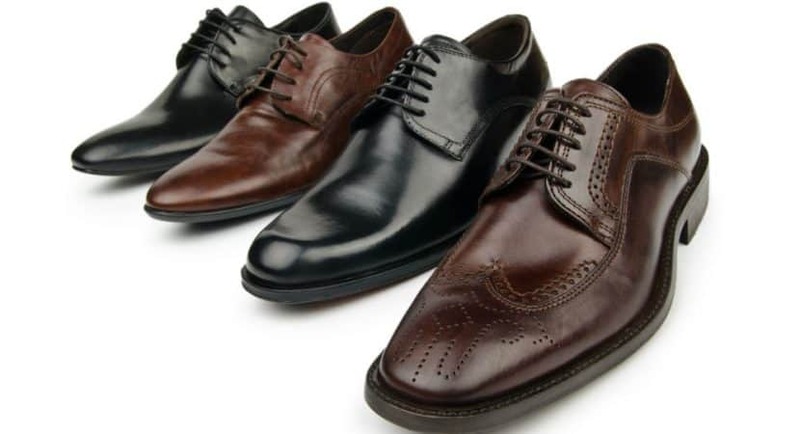 Brands such as Bostonian deliver a similar quality and design through their range of dress shoes, however at a noticeably higher price. Most are missing value and style-adding extras such as the genuine leather insole and lining, while Alpine Swiss’ Oxfords are the clear winner in terms of comfort thanks to the superior arch support. The traction of Alpine Swiss Oxfords has come under question, however, when comparing them to similarly priced brands, little difference can be found. The only way to improve on this aspect of design would be to spend two to three times the amount on a competing shoe, such as high-end offerings from Calvin Klein, Calden or Geox. None can top the overall value-for-money supplied by these far above-average Oxfords. 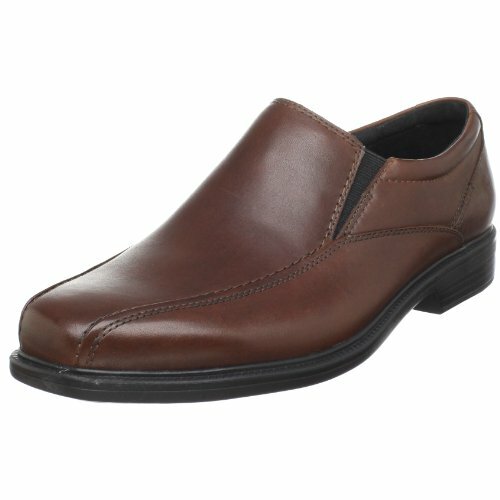 Every wardrobe needs a good pair of dress shoes and you can’t go wrong with this timeless design. In order to supply them at an affordable price, select quality factors should be noted. The heel and soles are glued on, yet they are solid enough for daily use over a considerable period. Faux leather has been used. The lack of metal inlets on the lace holes, otherwise known as grommets, makes replacing the laces slightly more arduous, although this only proves true with cheaper, low-quality laces. 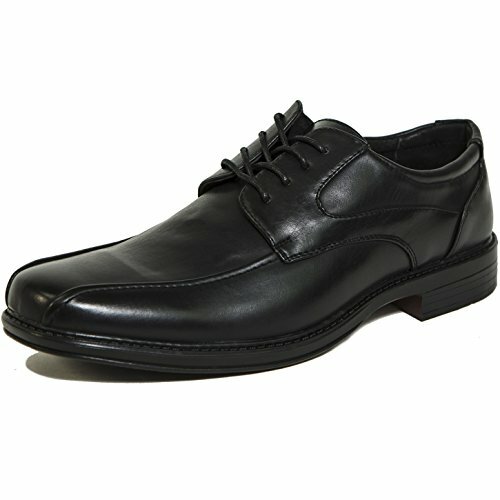 The Alpine Swiss Oxfords offer a blend of quality and style which is on-par with fashion leaders such as Calvin Klein. They will not last as long but their longevity in comparison to their price still makes them an outstanding choice for the style-conscientious male. Available in both black and brown, the Alpine Swiss Men’s Oxfords are the perfect shoe for formalwear, while the brown version gives great versatility. It even matches well to casual outfits, being tastefully accentuated by many different wardrobe choices including brown jeans, dark-colored chinos or even corduroys.